Joseph Schulman currently serves as senior vice president, population health business transformation. 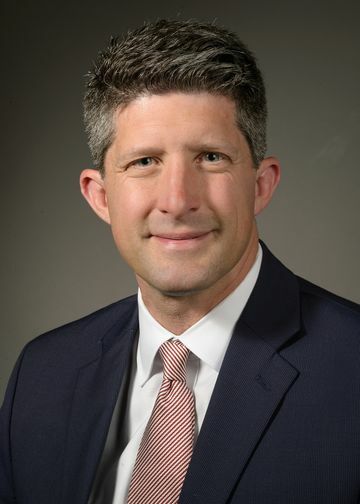 In this capacity, he is responsible for strategically developing, structuring and aligning the health system’s innovative care delivery programs and models to optimize efficiency, outcomes and business performance. Prior to his current role, Mr. Schulman served as senior vice president and regional executive director of Northwell’s Western Region, which includes Staten Island University Hospital (north and south sites), Lenox Hill Hospital, Manhattan Eye, Ear and Throat Hospital, Lenox Health Greenwich Village, Phelps Hospital and Northern Westchester Hospital. He was responsible for the overall regional performance, developing and overseeing the implementation of the regional strategic plan, strengthening regional and local provider relationships and identifying opportunities for investment and operational efficiencies. Mr. Schulman joined Northwell in 2002 as corporate director of internal audit services. In 2005, he was appointed chief financial officer of Zucker Hillside Hospital and served as deputy executive director there before he was appointed executive director in 2009. During his tenure at Northwell, Mr. Schulman was instrumental in helping lead Northwell’s population health efforts, serving as executive director of Northwell Health Solutions -- the health system’s care management organization. Health Solutions, co-established by Mr. Schulman in late 2013, is Northwell’s corporate division responsible for the management, implementation and performance of the health system’s population health portfolio. In his role Mr. Schulman was responsible for the health system’s care management business strategy, scaling and capabilities. Before Northwell, Mr. Schulman was an operations consultant and manager for the former Mount Sinai-NYU Health System’s corporate Audit Services Department, and managed logistics business operations for pediatrics and obstetrics at NYU Medical Center. In addition, Mr. Schulman supervised health care client engagements for Arthur Andersen’s risk consulting practice. Mr. Schulman earned his master of public administration degree in health services management from New York University.